Why are dogs popular in books, and cats popular on the Internet? Reader, if you and I can agree on anything, it’s that the Internet is made of cats. But we may differ on the follow-up: What else could it be made of? 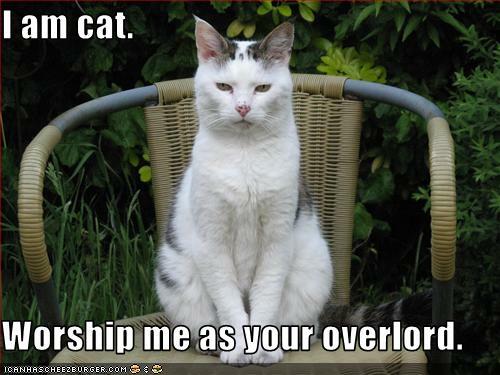 When cats took over on our screens and in our minds, whose regime, exactly, did they replace? For too long we’ve talked as if the online feline emerged from nowhere, to fill a niche that hadn’t yet existed. We’ve made out cats to be the brand-new products of a brand-new age and ignored the fact that before we had the Internet, and before the Internet had its furry totem, media consumers held a different set of animal predilections. We’ve forgotten that the readers from that ancient age of dusty books preferred the dog, and so they do today. Before the Web page there was the written word. Before kittens ruled the Internet, puppies reigned in print. The real mystery, then, is not how cats took precedence online, but rather how they managed to dethrone the dog. Our media have been split in two, and each opposing camp—the old against the new—has a spirit animal suited to its ethos. We’re reading dogs and clicking cats. Knopf is a borzoi. BuzzFeed is a Scottish Fold. When did our entertainments break along these species lines? And what will happen to the dog, once so proud in literature, as the industry that championed it limps into the future? Surely you’ll be inclined to grant the premise: Think of Maru the Cat; think of Marley & Me. But let me try to make the case using more objective means. Precisely how do dogs and cats compare online, and then again in print? The other day I went to visit Yahoo and plugged in the words “cat” and “cats.” (I tried them 10 times each.) My searches pulled an average of 1.8 billion hits, nearly two giga-cats of data on the Internet. Then I did the same with “dog” and “dogs,” and received one-third as many results. For every Web-enabled pooch, three kittens danced on YouTube. A proto-YouTube collection of cats from a 1914 magazine spread. Bing produced a similar comparison: 1.7 billion cats against 775 million dogs, for a ratio north of 2-to-1. Google was more even-pawed, but still the Web evinced a preference for felines: Its worm crawled 2.5 billion sites on cats and just 1.7 billion sites on dogs. These searches tell us what we knew already: That stats on cats are unsurpassed online. But what’s the mix for books? On Amazon, canines held the lion’s share of search results, by a healthy 2-to-1. A look at Google Books returned the same disparity: The corpus holds 87 million cats and almost twice as many pups. What’s more, this trend in published work appears to date back centuries. What about the future? To get a more specific sense, I consulted an online database of book deals and sifted through the last few years for references to animals. Since 2008, editors have signed up at least 44 dog-related works of fiction, compared with 20 books on cats. Among nonfiction deals—including memoirs, how-to guides, photography, and pet-related humor—the spread was even more severe: Over the last two years, the database lists 57 such arrangements for canine printed matter against 18 for kitty-lit. So there we have it: Dogs really are the champs in print, while kittens win online. Which brings us back to where we started. There’s an old joke, often (and erroneously) attributed to the founder of Random House, Bennet Cerf, that since people love to read books about Abraham Lincoln, and people love to read books about doctors, and people love to read books about dogs, then the best-selling book of all time ought to be a book called Lincoln’s Doctor’s Dog. That wisdom first appeared in print in 1938, in an essay for the Saturday Review by editor George Stevens. His piece, called “Lincoln’s Doctor’s Dog and Other Famous Best-Sellers,” looked at how book publishers try—and often fail—to manufacture hits. The principles of viral marketing that he laid out 75 years ago (“advertising sells a book that is already selling,” for one, and “it is up to the publisher to know when the iron is hot”) have since become gospel in media both old and new. Whether it’s The Art of Racing in the Rain, or just the Keyboard Cat, the lesson is the same: Success must be nurtured, not designed. That’s the point of the joke, of course: You can’t squish together trends and expect to sell a million copies. But it’s just as telling that the line itself still circulates in old-school publishing, and in old-school publishing alone. (I first heard of Lincoln’s Doctor’s Dog from a literary scout, who got it from an editor at Houghton Mifflin.) 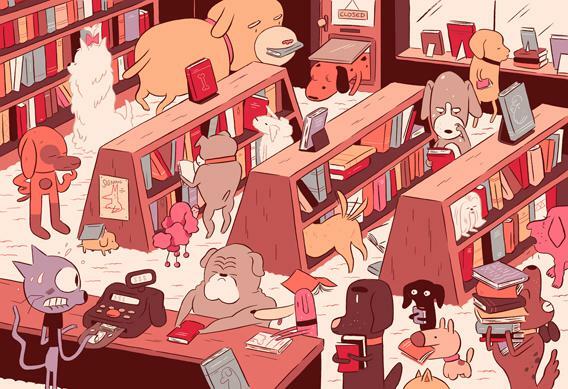 This long-running fad for dogs in books suggests a deep and strange connection. Consider that in ‘38 the dog itself was somewhat scarce: Around that time, the country had just 1 of them for every 9 of us. The doggy boom (IRL, I mean) did not occur until the 1960s, when the ratio of dog-to-man would rise to 1-to-5. (These days it’s 1-to-4.) In other words, dogs were selling books before they sold themselves. Needless to say, no one in the business ever wondered if Lincoln’s doctor had a cat. The parade of canine hits started with the corny classics—Old Yeller and White Fang—and now includes some very modern books of science, the kind that tell us what it’s like to be a dog. Along the way, it swept up a few of the most famous writers ever to have written: Steinbeck did a doggy book, and so did Virginia Woolf. This highfalutin pedigree lingers even to this day. In the last few years, several of our leading journalists—old-media types, of course—have joined the long procession: The New Yorker’s Susan Orlean and the Times’ Jill Abramson have lately gone into the doghouse, and so has New York Magazine’s executive editor John Homans. Cats have their place in art, of course. They’ve had it since the dawn of culture. In the Chauvet cave in France, where early humans sketched out animals in 30,000 BCE, the evidence suggests a preference for pussies: Among the horses and the bison, cavemen drew a pride of lions and a panther. I’m guessing that since ancient times, the cat has been more an image than a text. One scholar of feline memology notes that in the 1870s, photographs of cats were put on cutesy cartes de visite. Nice to look at; nothing much to say. In later years the cat became a star of comic strips, starting with the black-and-white called Felix, and then on and up through Garfield, Hobbes, and Heathcliff. Hart Crane invoked a kitten in his poem “Chaplinesque,” and while tabbies may be good for comedy, they’re better yet in verse. T.S. Eliot once wrote a book of cat-related poems, and he’s not the only one: Searching through a site called PoemHunter for references to pets, I found an equal canine/feline split. It seems the tendency for putting dogs in print is limited to prose. Poets know the cat’s a short-form thing, quick and nimble, cloaked with hidden meanings. “The thing about cats is that they’re veiled,” says Robert Trachtenberg, author of the recent meowmoir Another Insane Devotion. “It’s a question of companionship versus observation,” adds Eamon Dolan, a man who’s owned both dogs and cats, and edited a litter of best-sellers. “You develop a relationship with a dog, whereas you observe a cat. Dogs are companions; cats are beautiful, animate objects.” I think he means to say: We dialogue with dogs and contemplate our cats. If cats tend to sit for quiet portraits, it’s in part because they tend to sit. When they do go outside, it’s to pad around alone, which makes it hard for cats to gin up exploits fit for publication. That’s why an animal like Garfield can only live in comic strips: He’s too lethargic for a novel. The feline tendency to laze about or wander off may explain a few unexpected cat-related hits. Literary cats may be missing pets, like in The Wind-Up Bird Chronicle, setting up the plot through mystery and absence. Or else they may be given some improbable contrivance, like the tiger on a raft from Life of Pi, forced into a place where sitting on one’s haunches takes the form of high adventure. Either way, an animal that’s prone to lonesome stalking must be stuffed into a novel, like a kitten in a sack. Or maybe it’s a gender thing: Dogs are boys and cats are girls. Dogs are voiced narrators, marching forth into the world. Cats are pigeonholed in quiet domesticity. If we end up seeing dog-boy books in print, it’s because the cat-girl ones are pushed off to the side. But when I looked up recent deals for literature on dogs and cats, both categories were mostly female-written. Perhaps it’s not the feline’s body but its soul, so ephemeral and slick, that matches up with certain forms of entertainment. Cats like to stare at things and lurk: They’re built for surfing on the Web. We bond with them in little spurts, like videos on YouTube. Dogs, meanwhile, demand a lasting interaction. They’re thick and shaggy, musty-smelling like a book, and while they have their standard tricks, they’re famously unable to adapt. “The dogge must lerne it, whan he is a whelpe, or els it will not be,” wrote John Fitzherbert in a very early book from 1534. As we might put it now: You can’t teach an old dog new publishing platforms. Back then we might have seen this as a comment on the new and growing World Wide Web, anonymous and strange. (Even dogs were logging into AOL.) Now the caption reads as something more morose. Looking back at Steiner’s image as it nears its 20th anniversary, it seems to me the pets are measuring the instruments of their own demise: They’re peering through the window of a brand-new edifice of culture, and finding that it wasn’t built for them. All dogs’ experience and expertise—the skills that made them scruffy darlings of the paper-printed word—would have no place in publishing 2.0. They were masters of an antique medium, mascots on a sinking ship. Steiner’s message is more poignant for where it was disseminated. For years The New Yorker served as the leading dog park of the literati. An archive search of NewYorker.com comes up with 632 articles on mutts, going back to 1925. (There are just 245 articles on cats.) Last year, the magazine put out The Big New Yorker Book of Dogs, a 416-page anthology of the editors’ favorite dog-related essays. (The cat edition, held over to this fall, will be more than 100 pages shorter.) If Eustace Tilley has a pet, it’s the kind that wags its tail. Surely we can draw some connection to the fact that last year The New Yorker lost 6 percent of its advertising pages and 12 percent of newsstand sales. The canine media are in decline. On the Internet, nobody knows you’re a dog. Nobody cares, either. So what’s the future of the literary pet? One thing is clear enough: As the print familiar starts to lose its influence—as that breed of dog slowly goes extinct—a well-trained kitten army lies in wait. “Cats and dogs are now equal for us,” said an executive with Animal Planet in a recent interview with the Boston Globe. For 15 years, his channel never aired a single show on domesticated felines, but now he says the rules have changed: “We tapped into this never-before-acknowledged-on-TV passion base.” The content cats have made the jump onto another screen. What’s to hold them back from reader apps and Paperwhites? Writers, let this caption be your motto. As the taxonomy of publishing continues to conflate, you’ll be left without a choice between a job online and one in print. The market will be looking for a hybrid animal instead: Some days you’ll be asked to purr, and other days you’ll bark.